Easy to understand! 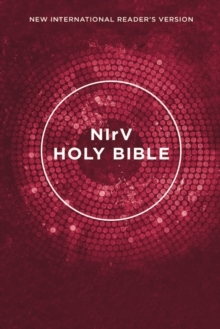 This NIrV Outreach Bible is written at a third-grade reading level, making it the ideal Bible for new readers of all ages. Its easy-to-read language, chapter and section headings, and both shorter words and sentences make the Bible easier to understand. The translators used the oldest biblical texts and the New International Version to produce an accurate and easy to understand text. Because of the easy-to-read language, this Bible is excellent for children learning to read and adults learning English as a second language.